West is under attack by extremist outfits and this is necessary to tell here that Muslims in those countries suffer the most. 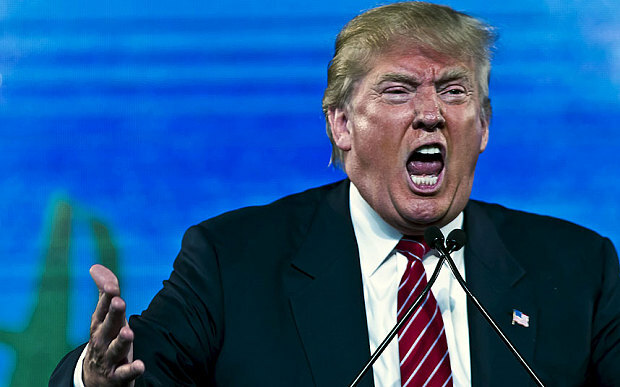 The American Presidential candidate Donald Trump use to vomit venom against Muslims and after recent Californian shootings he demanded to ban Muslims from entering into America. White House press secretary Josh Earnest said that GOP frontrunner Donald Trump’s call to ban all Muslim immigrants from entering the US “disqualifies him from serving as president” during Tuesday’s press briefing. "The first thing that a president does when he or she takes the oath of office is sworn an oath to preserve, protect and defend the Constitution of the United States," he told reporters. "And the fact is that what Donald Trump said yesterday disqualifies him from being president. And for Republican candidates to stand by their pledge to support Mr. Trump, that in and of itself is disqualifying." The Trump's ban on Muslims was highly condemned, even a Florida mayor says he's banning Donald Trump from his city after the Republican presidential candidate called for the U.S. to stop Muslims from entering the country. Playing off of Trump's earlier words, St. Petersburg Mayor Rick Kriseman tweeted Monday that he was banning Trump "until we fully understand the dangerous threat posed by all Trumps." After billionaire Donald Trump commented that Jeff Bezos was "screwing the public" by sheltering his money through an investment in The Washington Post, the founder of Amazon.com replied by offering the instantly presidential candidate a seat on his space startup's reusable rocket. We wish him a safe flight to space and expect that he respect's the humanity. Such person is highly unfit for world's largest and super power nation and this is the reason we can clearly see what will be his political career in America.